Massimo Vidale is an eminent Italian scholar in the field of Archaeology. He specializes in ancient craft technologies, on surveying, recording and conserving of archaeological artefacts and sites. Besides having studied and worked with early cultures and civilizations in the Mediterranean Basin, he has published extensively on Early Central Asian and the Indus Valley Civilizations. He is the foremost expert on trade relationships between the ancient Indus and Mesopotamian civilizations. 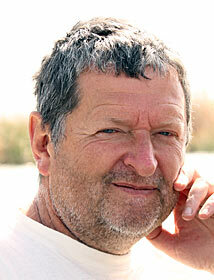 Prof. Vidale is currently Professor of Archaeology at the University of Padua in Italy.